This lovely little swirl "X" is my first print making attempt! In my art class, we ink stamped our fingers until we found a finger print that we liked. Then, these images were blown up larger and printed on a sheet of paper. 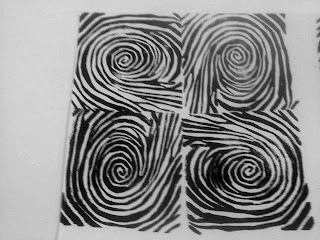 From there, I drew the design from my finger print onto a rubber 4x4 block, carved it out with stamp making tools and tada! 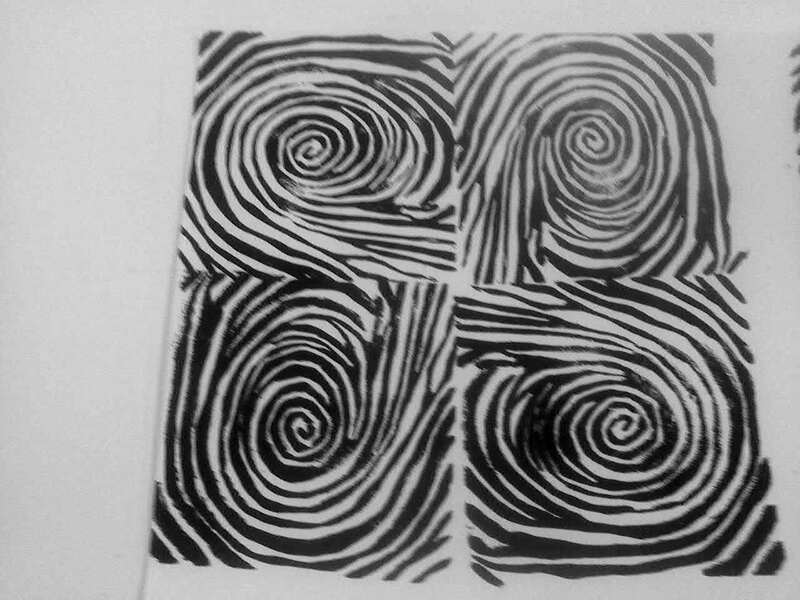 A stamp of my finger print! 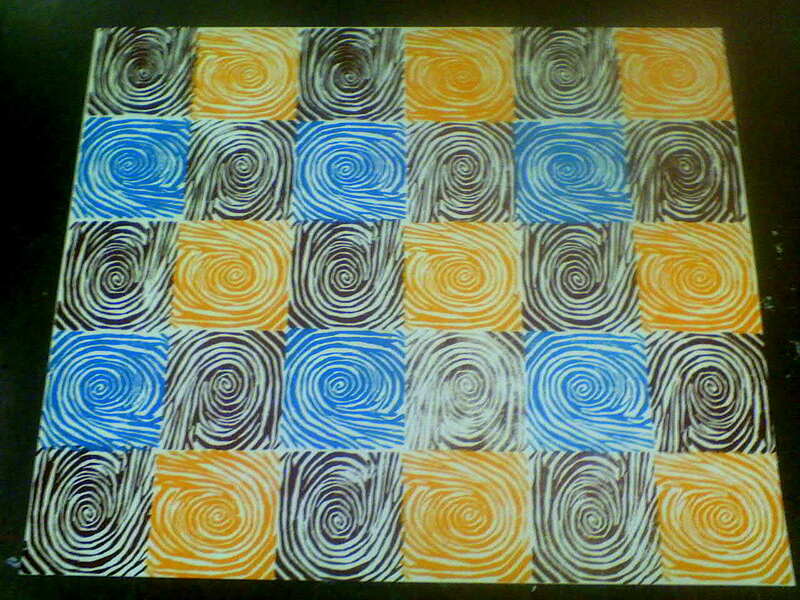 I found that when I arranged them in an "X" , like above, they make this cool swirly design that I really like. After deciding on a design, I chose a color scheme and starting working. Each "X" is made of prints in brown on the top right and bottom left corner, and orange and blue prints in the other corners. This was my original pattern but the final results has many patterns in it. I really like the result and think it is a cool concept to have a huge 24x28 piece of art ..that is my finger print! One cup of coffee requires 36 gallons of water to make. This water is used to grow, produce, package, and ship the beans. People are using more water every year while the amount of usable water is decreasing. By going to www.waterfootprint.org, you can figure out your individual water foot print (how much water you use in a day). Remember, you must be the change you wish to see in the world! Crocheting, Knitting, Baking, and Cooking.